The body part that is the focus of an Image-Guided Radiation Therapy depends on the location of the tumor. Why is the Image-Guided Radiation Therapy Performed? An Image-Guided Radiation Therapy is performed to precisely and accurately apply radiation therapy to a tumor. There are no recent advances with respect to the Image-Guided Radiation Therapy procedure. What is the Cost of performing the Image-Guided Radiation Therapy? The cost of an Image-Guided Radiation Therapy procedure depends on a variety of factors, such as the type of your health insurance, annual deductibles, co-pay requirements, out-of-network and in-network of your healthcare providers and healthcare facilities. How does the Image-Guided Radiation Therapy work? How is the Image-Guided Radiation Therapy Performed? The Image-Guided Radiation Therapy procedure is performed as an outpatient procedure at a hospital. A radiation therapist performs the IGRT procedure. 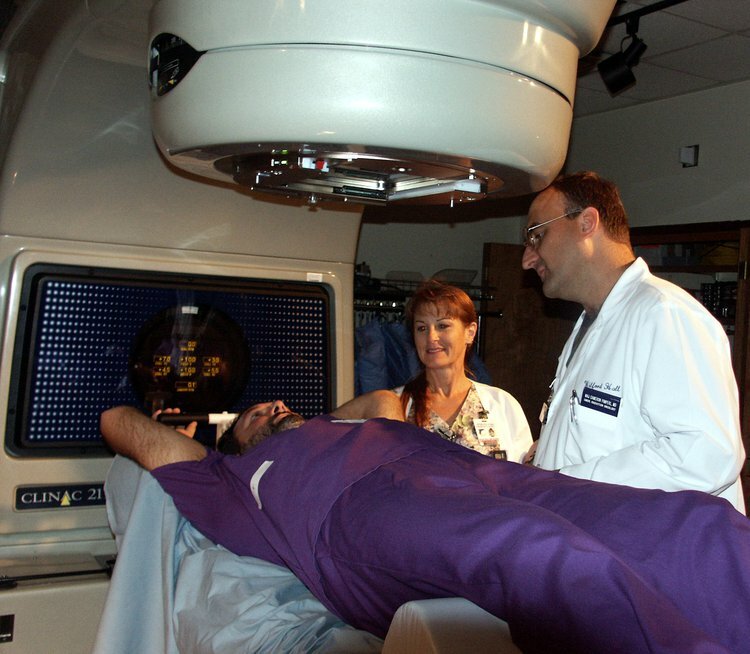 The radiation therapist is supervised by a radiation oncologist. A radiation oncologist interprets the results of the IGRT procedure. A physician will request your consent for an Image-Guided Radiation Therapy procedure using an Informed Consent Form. What are the Limitations of Image-Guided Radiation Therapy? What is an Image-Guided Radiation Therapy (IGRT) procedure? What is to be expected during the Image-Guided Radiation Therapy? No anesthesia is administered during the Image-Guided Radiation Therapy procedure. There is no blood loss involved during the Image-Guided Radiation Therapy procedure. What are the possible Risks and Complication during the Image-Guided Radiation Therapy? What Post-Operative Care is needed at the Healthcare Facility after the Image-Guided Radiation Therapy? There is no significant post-operative care necessary at the healthcare facility, after an Image-Guided Radiation Therapy procedure. What is to be expected after the Image-Guided Radiation Therapy? The patient may need to contact the physician if the side effects of the Image-Guided Radiation Therapy procedure worsen. What Post-Operative Care is needed at Home after the Image-Guided Radiation Therapy? The length of recovery after an Image-Guided Radiation Therapy procedure depends upon the amount of radiation delivered and the location of the tumor. No tissue is extracted from the patient during an Image-Guided Radiation Therapy procedure. Who will you receive a Bill from, after the Image-Guided Radiation Therapy? The patient is advised to inquire and confirm the type of billing, before the Image-Guided Radiation Therapy (IGRT) procedure is performed.